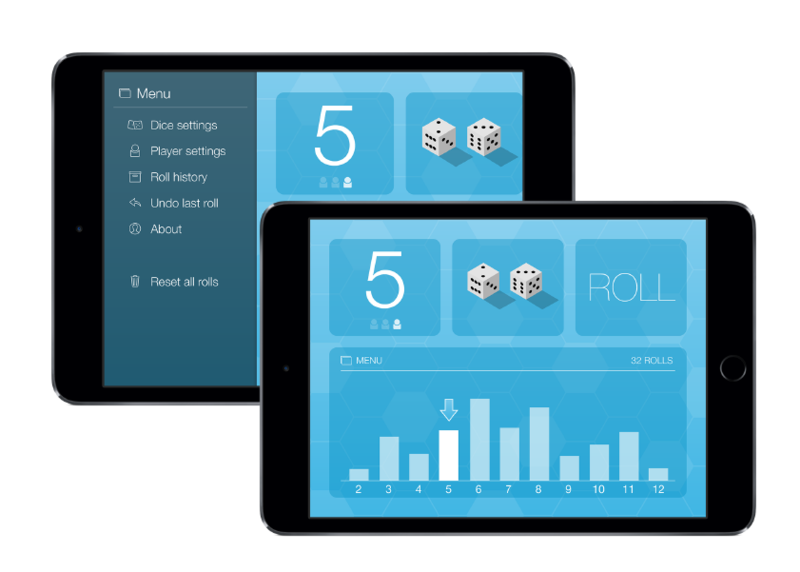 Dice Tracker lets users track their favorite dice-based board games by charting a distribution for their dice rolls. Users can select between computer generated dice, or rolling their own real-life dice and entering values. The chart updates on the fly, and provides statistical analysis and turn tracking features. Some educators have found usefulness in Dice Tracker as a teaching assistant for statistics lessons. This was my first development project to get published to the iOS app store. I started off with an iPad version in 2013, and published an iPhone version later that year. Since that time I've updated the app to include changes to design language as iOS has evolved. Dice Tracker is a well liked app, with a 4 star rating on the iTunes app store. It has over 9,000 downloads. It is completely free and available to download now.